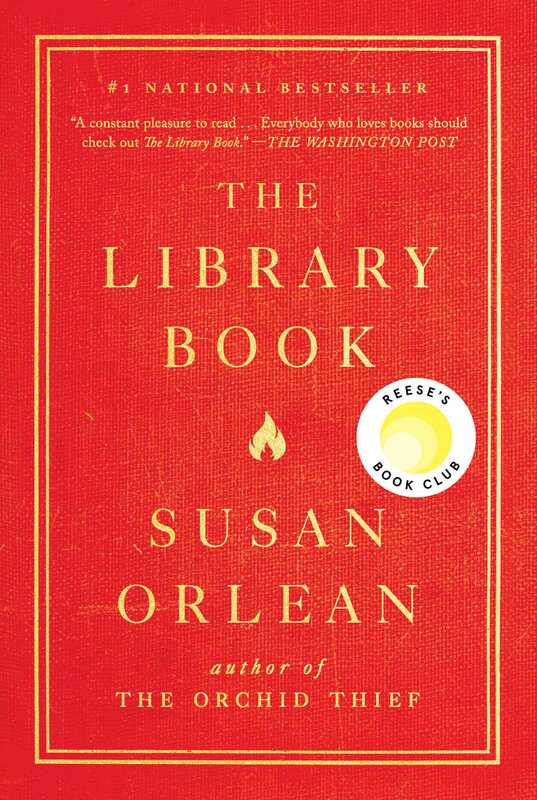 This reading group guide for The Library Book includes an introduction, discussion questions, ideas for enhancing your book club, and a Q&A with author Susan Orlean. The suggested questions are intended to help your reading group find new and interesting angles and topics for your discussion. We hope that these ideas will enrich your conversation and increase your enjoyment of the book. 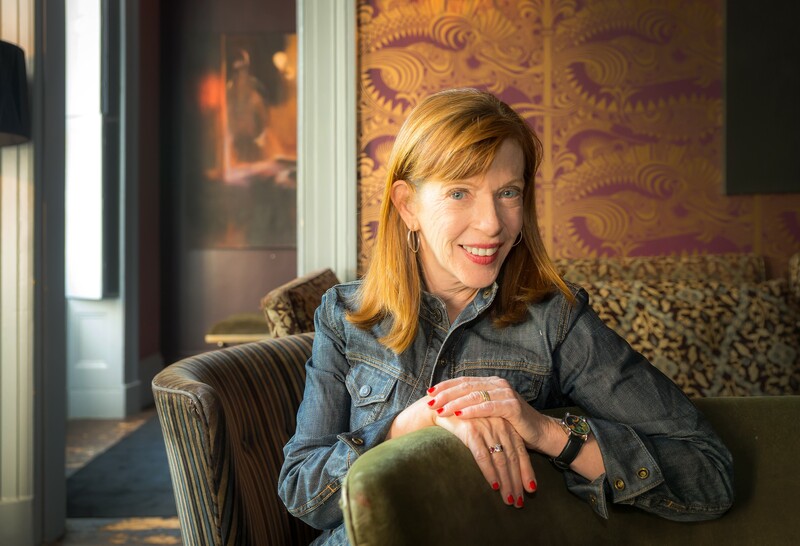 Susan Orlean, one of our most esteemed journalists and authors, turns her keen powers of observation and narrative gifts to the overlooked, underreported saga of the 1986 fire that ravaged the Los Angeles Public Library. Part detective story, part history, The Library Book serves as a meditation on and an ode to libraries, librarians, and their role in our communities. “You can still smell the smoke in some them,” says Ken Brecher, head of the Library Foundation of Los Angeles, to launch Orlean headlong into her investigation on the unsolved mystery of the conflagration that destroyed or damaged more than one million books, articles, and resource materials. At the center of the 1987 fire is Harry Peak, a charming aspiring actor, who is accused of arson but never charged. As Orlean charts the life and career of Peak, we see that there is just as much evidence to convict him as there is to exonerate him. The larger narrative of The Library Book is its chronicle of the Los Angeles Public Library, a history that’s easily extrapolated to libraries nationwide. The library’s role in the community is directly reflective of the city’s growth from western outpost to boomtown to modern metropolis. It’s a history not without its controversies, ranging from the discrimination faced by library pioneer Mary Jones to the eccentricities of library head Charles Lummis to the ongoing debates over such matters as public funding and homelessness. Readers and book lovers also get an intimate journal of the day-to-day lives of librarians, a rare look into the unsung and sometimes thankless world of these public servants. The days of simply cataloging books is long gone for librarians, whose roles now encompass everything from information technology to the homelessness crisis. Orlean brings the librarians of the LAPL to life, dutifully showing that the library, or any library, is a shared, inclusive community space that can be whatever its patrons need it be. 1. What has your relationship with libraries been throughout your life? Can you share some library memories from childhood to adulthood? 2. Were you at all familiar with the Los Angeles library fire? Or any library fire? 3. How would you describe the fire’s impact on the community? How about the community’s rebuilding efforts? 4. In chapter 5, Orlean writes that books “take on a kind of human vitality.” What role do books play in your life and home, and do you anthropomorphize them? Have you ever wrestled with the idea of giving books away or otherwise disowning them? 5. What is your impression of John Szabo? How does his career inform and shape your understanding of what librarians do? 6. Libraries today are more than just a building filled with books. How has your local branch evolved? Are you able to chart these changes and gauge their success within the community? 7. The Library Book confronts the issue of street people patronizing the library. Is this an issue in your hometown? How do you feel about the L.A. library’s involvement, handling of the issue, and the notion of inclusion? 8. Andrew Carnegie is perhaps the most famous supporter and benefactor of libraries. Can you name a modern equivalent who is using his or her largesse to underwrite public works? Is it more important for the public sector to have big benefactors or overall community support? 9. What was your initial impression of Harry Peak? Did it change throughout the investigation? 10. What was your reaction to the Mary Jones and Charles Lummis saga? Can you cite any similar examples from history or the present? 11. Each of the head librarians discussed in The Library Book brought certain qualities to the position. What ideas and initiatives did you like? Did you disagree with any? 12. The Library Book chronicles the history of the Los Angeles Public Library from its origins to the present day. How were the library’s ups and downs reflective of the city’s ups and down? Are libraries a fair barometer to judge the mood of a city or town? 13. Chapter 30 discusses a range of initiatives undertaken by international libraries and librarians. Do you have a favorite example that you would like to see replicated at your local library? 1. Schedule a time for your group to visit a local library and meet with the staff to discuss the book, the role of librarians, and how the community can stay engaged. 2. Each chapter begins with some thematically-linked books. Have each group member pick a chapter, read or research the books in the chapter openers, and then briefly present how those books relate to chapter. 3. Have each member present an idea for the local library’s programming. Narrow the list to one or two of the best ideas and formally present it to your library head with an action plan for implementation. How did The Library Book evolve as you researched and wrote it? Is it a different book now than the one you set out to write? I was drawn to the story on several levels. I was curious to explore the way libraries function and what they mean in our lives; I was interested in the history and story of the Los Angeles library specifically; and I was fascinated by the story of the fire. I always knew this book would have several different threads woven together, and that is exactly how it turned out. Does the library and its staff have a civic duty? Technically, yes—they are civil servants, and they’re pledged to work with the public and make the resources of the library available to them. But most of them have a sense of civic responsibility that far exceeds that; they feel a mission to serve the public and to be the caretakers of information. It’s a role the staff takes very seriously. What was the reaction of Harry’s family when they learned you were writing about him? Has there been or do you anticipate any feedback from them as the book becomes available? Harry’s family was enthusiastic when we met. They felt that Harry’s reputation had been ruined by his association with the fire, and they believed that I would tell his story and thus clear his name. My plan was somewhat different: I wanted to know his story and understand how he had gotten tangled up in the fire. I didn’t set out to prove his innocence. I made every effort to be objective and thorough, but my goal wasn’t to exonerate Harry, so his family might be disappointed that I didn’t do that. The section of the book where you shadow John Szabo gives true scope and possibilities to the role of a head librarian. Did you have any idea how diverse his portfolio of duties and projects was when you started shadowing him? I had no idea what it would be like to run a large urban library system, and I’m sure I imagined it would entail looking through a lot of book catalogs and other book-related tasks. But very quickly I realized how different the job is. For instance, just realizing that Szabo is responsible for seventy-three significant city buildings was a shock. He probably spends more time dealing with issues related to the simple functioning of those buildings than ordering books. There is an enormous amount of management involved. Still, Szabo is able to stay very involved in the more intellectual aspects of his job. He does a remarkable job balancing the various demands on his time and attention. Was there a particular era of the LAPL that you enjoyed researching? I became enchanted with Charles Lummis. He was such a remarkable man, such a singular figure, and his short time in the library was certainly eventful! That period—the turn of the century—was also a moment when Los Angeles was growing into itself, so it was a thrilling time to learn about. Technology was once a threat to libraries. Now it’s an essential feature. How does technology complement a library? Technology is an extraordinary asset for organization, which is essential to the function of a library. The electronic card catalog alone has been transformative. Technology has also allowed us to order books from the comfort of our home; to borrow e-books and movies; to use research tools offered by the library. It’s added a whole new dimension to what the library is. And on the most basic level, the library is also the most accessible free Internet, so the library has become the portal to the online world available to anyone and everyone. The role of a librarian these days, especially in a metropolitan area, is far more than cataloging books. Was it surprising to learn and report on some of the day-to-day situations they face? I was amazed and impressed by how librarians have adapted to their new roles, which span social service and technology as well as books. It’s a very different job from what it was in the past, and it’s begun to attract a different sort of librarian who is aware that he or she will be face-to-face with every kind of person in the city, as well as having to master all the new technology that has become part of the library. What is the future of the local library and how do you think its role in the community will change? Should we change our fundamental understanding of it as a place that stores books for borrowing? I’m optimistic—very optimistic!—about the future of the local library. Now that we have come to view them as a new kind of community center/knowledge hub, they are poised to become even more important and appreciated than they’ve ever been. Books will always be important to what a library is, but I love the image of the library as a pulsing intellectual and social center of a community, where we come to share stories and learn and explore, in whatever way we can imagine. You maintain a vibrant Twitter presence. How did you come to embrace that medium? I joined Twitter early on, and somehow the format just appealed to me. I was living in a fairly rural place at the time, and I was spending a lot of time alone, so Twitter became my “water cooler”—that is, it became the place where I’d go to chat and listen to other people, see what was going on, catch up on news and gossip. It was a perfect respite from being out in rural New York, alone with my computer. I still love it! What do you think will be most exciting for you to discuss about this book at events, signings, and in the media? I love hearing other people’s memories of visiting the library when they were young, and how it influenced them so much as adults. I love hearing how much people love libraries. It gives me great hope for the future of humankind.